And last but not least, you can now download your Vines through the app or the website. All of your Vines will continue to live on the vine.co website so you can browse all of the amazing videos you created over the years. 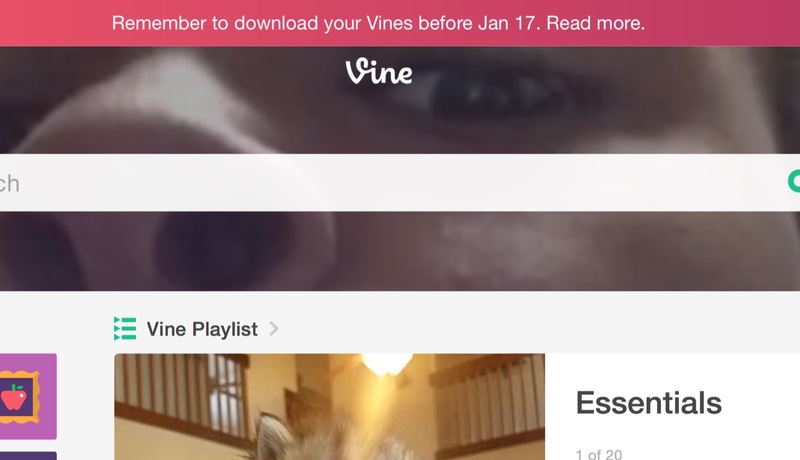 Here’s what’s coming: in January, we’re transitioning the Vine app to a pared-down Vine Camera. With this camera app you’ll still be able to make six-second looping videos, and either post them directly to Twitter or save them to your phone.